Bangladesh Jail Prison published New job vacancy Notice at prison.gov.bd. 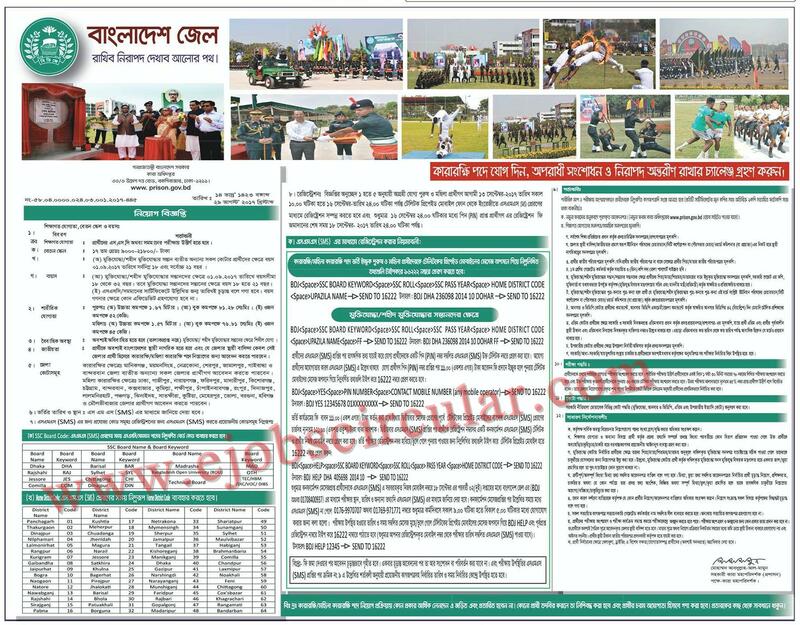 PRISON job circular offer New vacancy in this post. Interested applicants could get their application details from below description. SSC,HSC, Honours Student also apply this Prison govt circular 2017. Age Preferred: 18 to 21 Years. Department of Prison, Government of Bangladesh Job Related Notice 2017. An attractive job circular has been published by the Bangladesh Government’s Department of Prison. Joining the smart and big Govt. service team of Bangladesh Government Department of Prison. For More Govt. Job Circular Click Here.